Have you ever wondered how it must feel bearing the mental weight (conscience) for the loss of life and personal suffering on a massive scale, yet continuing and even advancing these mechanisms daily? Have you ever stopped to contemplate just “how much money” is the trigger to sell out your fellow citizens and humanity into this realm of suffering and death … and still sleep at night? People who meet this criteria are psychotic … as in not normal, because the promise of stature, enrichment or power are the triggers that seem to silence their conscience forever. The very sad part of this true story is … these are the very people responsible for safeguarding the health of you and your precious children! 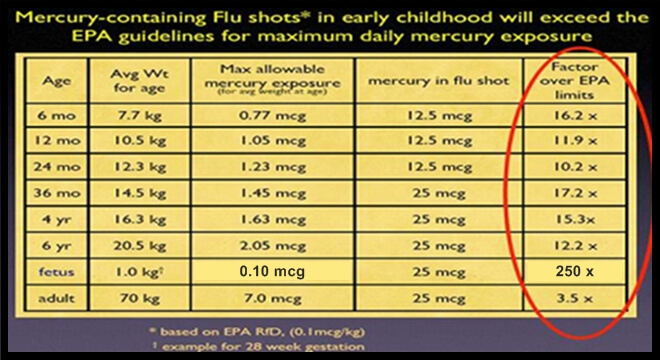 Before you step up to say the ’25mcg’ of mercury in the yearly flu shot (and others) is not a lot of anything … please observe the EPA’s limits in the table below. “A lot” is a relative term, and for the pregnant woman, or her developing fetus … in this case it is ‘A Hell of a LOT’! Thimerosal (mercury) is contained in several vaccines, the most common being the yearly flu shot. The dosage for adults is about 25mcg. Thimerosal is broken down by the body in the following fashion, the ethylmercury is first metabolized by the body into even more toxic methylmercury, which is then re-metabolized into the ultimate toxin, inorganic mercury … YES I said Inorganic Mercury … The most deadly and toxic naturally occurring substance known to exist on this planet to the human physiology and second only to Ionizing Radiation. This comment is NOT Scientifically proven and thus erroneous at best, and dangerous at worst. 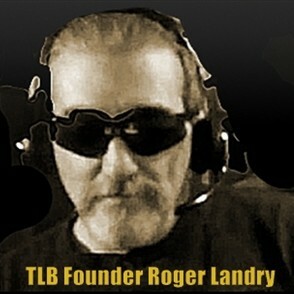 There is peer reviewed science stating that ANY level of mercury is dangerous to human physiology … no exception. For a better understanding of the impact Mercury delivered in Vaccines has on the brain in the form of Thimerosal, please, continue reading the attached short (but explosive) article. … The glutamate transporters play a major role in how the brain is formed. During brain formation, in utero and after birth… those first two years that are so critical, the level of these glutamate transport proteins starts to rise. The reason they rise is to protect the brain against too much glutamate. Anything that interferes with that puts the brain at risk during its development.